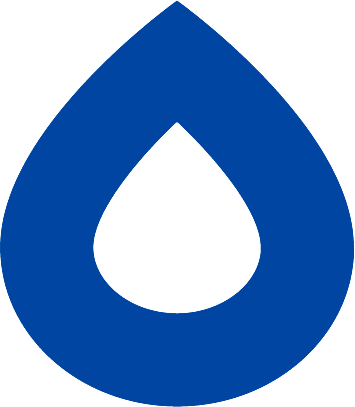 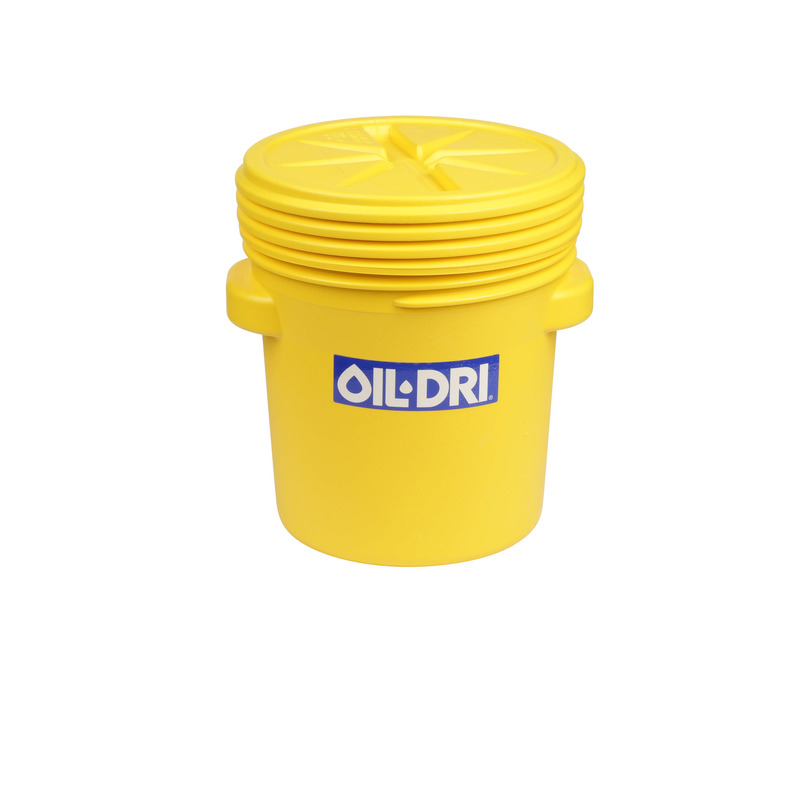 Be prepared with a spill control plan that can be implemented with absorbent products readily available, either to use in case of an emergency, or to control daily leaks and spills that may occur. 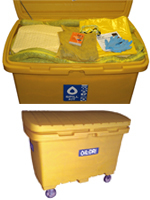 OIL-DRI® 110 Gallon Mobile Spill Kits ﻿have all the tools needed for large spill applications! 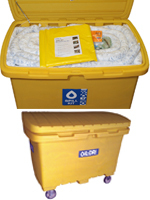 All items come packed in a sturdy rolling chest for easy mobility in reacting to large spills in a timely manner. 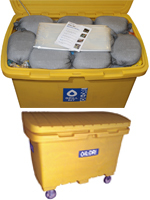 Marine Dock Box contains vital absorbents for the prevention and cleanup of petroleum spills in marina environments and should be part of every responsible dock contingency plan.